← If You Must Date A Friend’s Sibling, LET THEM KNOW! anyway, that shortbread must be serious stuff, I hope that you eventually got it delivered to your doorstep from work! Lol I’m worried about you too! Glad to see you’re okay!…Shortbread tho? while you’re in pain!…go trooper! OMG Waila is in pain n all she can think of is cookies. U r not serious. initially I thought u were so dedicated to your work didn’t know d drive is the cookies. Gal that was NOT funny are u ok? On a more serious note, thank goodness you are okay. The Lord is your strength and he will perfect your healing process. Ha ha ha ha. Too funny. Oh my gosh…well, I’m glad you’re doing better now. Oh my days!!!hilarious. 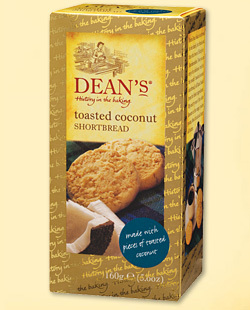 I love shortbread, but nothing comes close to this. Hope u feel better soon, and hope the shortbread was still intact. Lol..I’m glad you are feeling better, take it easy!! Waila Waila waila, how many times did I call you? Glad you feel better, take it easy and next time, think about sharing…. Cracked me up… Sounds alot like something I can do… Glad you are good. You should be a spokesperson for the company. Hey I saw this on offer at Wilkinsons store 2 for £2:40.